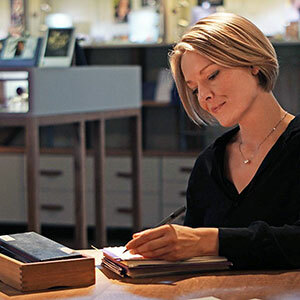 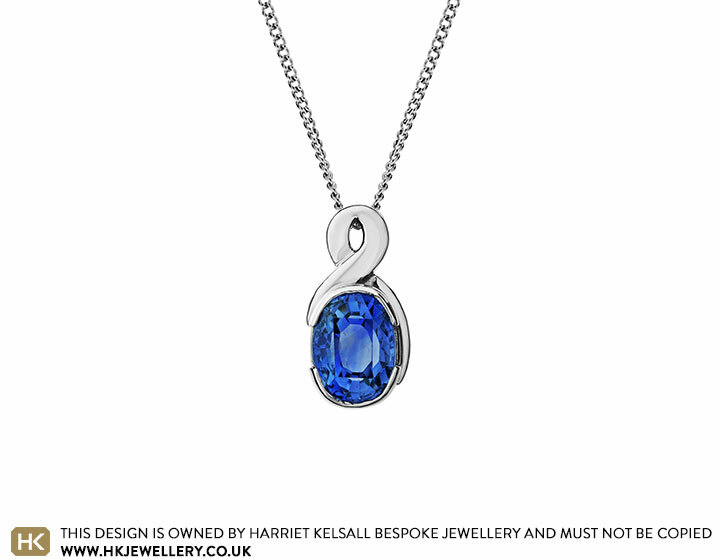 Benedicte had her own 3.84ct sapphire that she wanted to set within a pendant. 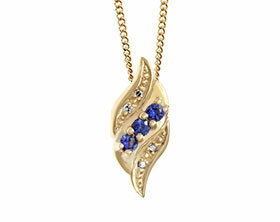 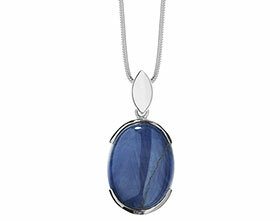 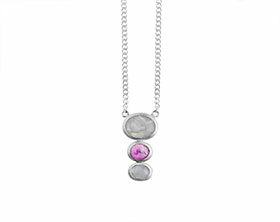 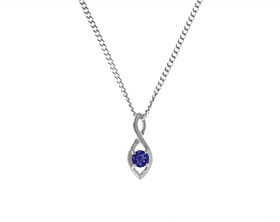 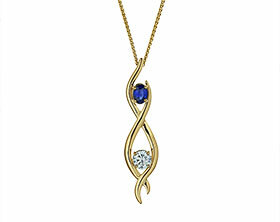 The pendant has been handmade from palladium and the beautiful stone has been end only set. 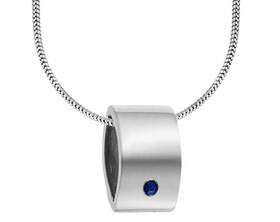 The crossover style bail is suspended from an 18 inch Sterling silver close curb chain.